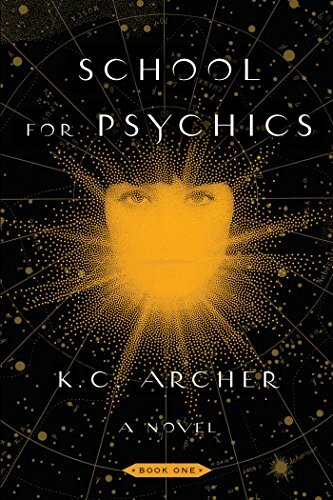 Set in a world very much like our own, School for Psychics is the first book in a stay-up-all-night series. I really liked the main character Teddy, a 24-year-old with a gambling addiction and in serious trouble for her debts. There are probably a few of those out there that would take the chance Teddy had been given to erase their debts and start fresh! I have read quite a few "School for...." type books from various authors. I enjoyed the majority of them and most share similar storyboards. Even though Teddy is 24, I felt like this read could qualify for the YA genre just as well as fantasy/paranormal. Archer did a great job of character development and storyline while connecting some real-life scenarios. Anytime I pick up a new story and want to read to the end tells me the author has more than accomplished their purpose of great entertainment. I will look forward to any other installments in this series! Getting 4 "know when to fold 'em" sheep! K.C. Archer is a pseudonym and has no online presence.